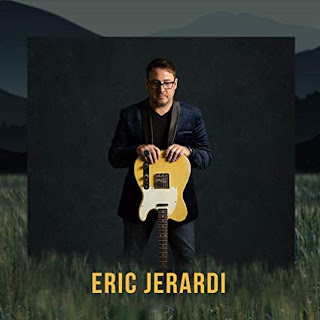 Bman's Blues Report: FEB. 24 rel-JOSH HYDE (w/Sonny Landreth) "The Call of the Night"
FEB. 24 rel-JOSH HYDE (w/Sonny Landreth) "The Call of the Night"
Recorded at the iconic Dockside Studio in Maurice, LA, on the banks of the Vermillion Bayou in the heart of Cajun Country, "The Call of the Night" was produced by Joe V. McMahan (who has helmed projects by Webb Wilder, Mike Farris, Kevin Gordon and Sarah Potenza, among many others). Hyde (guitars & vocals) was joined in the studio by Joe V. McMahan (guitar), Ron Eoff (bass), Jamey Bell (drums), Bryan Owings (percussion) and John Gros (keyboards). Special guests on "The Call of the Night" include Sonny Landreth, Buddy Flett, Tony Daigle, James Westfall and Laura Mayo. From the slippery title track with its indelible image of "a slow heart attack, your smile shining thru me," and the pleading "It's Not Too Late," to the French Quarter funk of "Need a Little More" or the enigmatic tale of infidelity, "Offshore," each of the nine original tracks peels back another layer of the singer-songwriter's lyrical depth, while at the same time providing a showcase for his engrossing vocals and skillful playing. The finely etched songs throughout the album resonate with depth and darkness (his mother's death, a 2014 divorce), yet they remain melodic, celebratory and accessible. Hyde's childhood was spent mainly in – yet not limited to – Louisiana's two biggest cities. Born in Baton Rouge, he was barely seven years old when his family moved to New Orleans for a time. "I only lived there for three or four years but even though I was that young, it left an imprint on me," he acknowledges. By that time, he had also already written his first song. In the late '70s, Hyde penned "Mississippi Bridge," which is included on the album. The musings of a child of divorce, from the wide-eyed perspective of a youngster who traveled unaccompanied on a Greyhound bus from Alexandria, where he was living with his mother, to Baton Rouge every other weekend, where he would visit his father. The tune is at once simple and poignant but also astonishingly honest and devastatingly mature. He was 11 years old when he wrote it. "It's just a picture of the world inside that bus," he explains. "People don't ride buses anymore, so it's kind of like a throwback piece now. For a 10- or 11-year-old it was a little bit scary but it was also an adventure. I got to know the bus driver, he was a nice guy. We would stop at every little town between Alexandria and Baton Rouge. Hyde's precocious nature at around that same age extended to live performance as well. During a family trip to Mexico, he witnessed a band playing and approached the drummer, asking him if he could get up and perform with them. He had started playing guitar at just 10 years old and began writing songs not long after, immersing himself in the blues at one of Baton Rouge's most renowned nightspots. 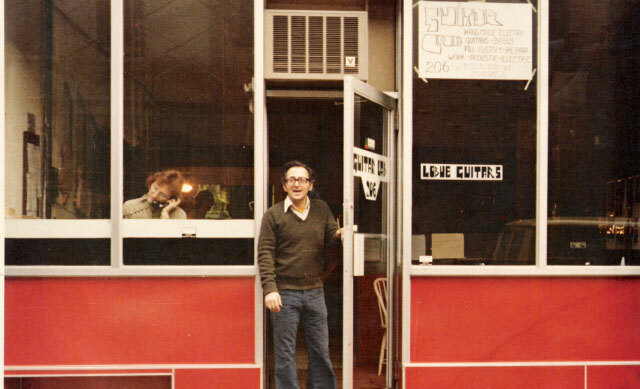 "They had a place called Tabby's Blues Box, where a lot of real-deal blues guys played. Tabby Thomas owned the place. As soon as I could drive, when I turned 15, I would head down to Tabby's Blues Box. I started to play there on jam night." In his early 20s, Hyde quickly became a popular fixture on the festival circuit throughout Louisiana, while at the same time began honing his songwriting, developing the distinctive New Orleans influence he retains to this day. In his late 20s, he fell in love with slide guitar after hearing Sonny Landreth, the supremely skilled guitarist who lifts the deliciously enigmatic "Offshore" to chill-inducing levels with his unmistakable playing. "I met him at a few different shows and we got to know each other," Hyde says. "Offshore," which is kind of a song about 'high infidelity,' was the perfect South Louisiana song for Sonny to play on. He has a very unique style to his slide guitar. It's an open tuning and he has a very violin-like way of playing. I had been talking to him about this song for a long time." The song's reference to the mysterious, mythical figure of "Jody" may be lost on some, but men who work the offshore oil rigs off the Louisiana coast may find it eerily familiar. "In Louisiana, a great deal of the men work offshore, working 14 days on 14 days off," Hyde notes. "There's kind of a mythological character in the offshore world and his name is Jody. Jody is the guy that's having an affair with your girlfriend or your wife while you're out on the oil rig. 'Jody is creeping around your house.' When I play that song live, especially if there's somebody in the audience that works offshore, they always come and talk to me about it." Josh Hyde works on stage and in the studio the way another gifted native son of Louisiana, Chef Paul Prudhomme, worked in the kitchen. 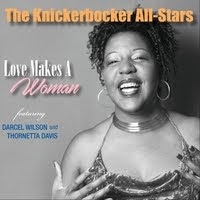 His recipe for musical success found in seasoning gorgeously seductive tunes with a flavorful blend of American roots, blues and soul. Hyde's slinky, sensual tunes can bubble over with the exuberance of a New Orleans street parade, or stew in a hypnotic, laid-back vibe. 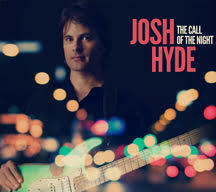 Yet, while the framework of "The Call of the Night" is quintessential Louisiana, Hyde's distinctive approach to songwriting, performing and recording propels it beyond its deep Southern origins and into the wider realm of Americana. In the same way its varied, distinctive cuisine has defined and enriched its people, music remains one of the Bayou State's most important natural resources. "Music is just everywhere in Louisiana. It's part of our culture, from the crawfish festivals to the funky clubs to the jazz trios. There is a raw energy to it. It's just the air you breathe," Hyde says. If music is the food of love, heartbreak, celebration and redemption, Josh Hyde's "The Call of the Night" is one of the most flavorful recipes Louisiana has ever produced.